Wylaco carries Greenlee brand Tuggers, if you are looking for something and don't see it contact us! Greenlee 2001 Cable Puller .. Please contact us for a freight quote Greenlee 6001 Specifications: Pulling Force - Maximum: 6,500 lbs. (28.9 kN) Pulling Force - Continuous: 4,500 lbs. (20 kN) Dimensions: L 20-3/4" (527 mm) x W 22-1/2" (572 mm) x H 12" (305 mm) Pulling Speed No Load: 16.5 fpm (5 mpm) Pulling Speed At 2000 lbs. (8.8 kN): 11 fp..
Greenlee 6004 Super Tugger Complete Puller Package 6500 lb. Please contact us for a freight quote Greenlee 6004 Specifications: Pulling Force Maximum: 6,500 lbs. (28.9 kN) Continuous: 4,500 lbs. (20 kN) Dimensions Length: 20-3/4" (527 mm) Width: 22-1/2" (572 mm) Height: 12" (305 mm) Pulling Speed - Feet (Meters) Per Minute No Load: 16.5 (5) At 2000 lbs. : (8.8 kN) - 11 (3.4) At 4000 lbs. : (17.9 kN) - 7.5 (2.3)..
Greenlee 6005 Super Tugger Complete Puller Package - 6500 lbs. Please contact us for a freight quote Greenlee 6005 Specifications: Pulling Force Maximum: 6,500 lbs. (28.9 kN) Continuous: 4,500 lbs. (20 kN) Dimensions Length: 20-3/4" (527 mm) Width: 22-1/2" (572 mm) Height: 12" (305 mm) Pulling Speed - Feet (Meters) Per Minute No Load: 16.5 (5) At 2000 lbs. : (8.8 kN) - 11 (3.4) At 4000 lbs. : (17.9 kN) - 7.5 (2.3) At 6000 lbs. : (26.7 k.. Please contact us for a freight quote Features: Pulls up to 8,000 lbs. (35.8 kN) Direct gear drive Portable Boom lift using a hand crank provides ultimate safety to lift heavy loads. Quick set-up with quick disconnect system to adjust the nose or elbow piece 360 degrees. Swivel casters move easily on rough terrain on the construction site. H.. Please contact us for a freight quote Description: • 2-Speed motor that delivers the fastest pulling time for all pulling needs over the widest (10,000 lbs.) range • Strong, rugged motor designed specifically for both big and small cable pulling applications up to 10,000 lbs. • Easy control features for increased productivity • On-board force gauge.. Please contact us for a freight quote FEATURES: Puller Assembly NOT Included Set-up in less than 2 minutes Boom lift using a hand crank provides ultimate safety to lift heavy loads. Quick set-up with quick disconnect system to adjust the nose or elbow piece 360 degrees. Conduit adapter available for 2” – 5&r..
Greenlee UT2 Specifications: • 3 x 500 kcmil cable 500’ with 2 x 90° bends • 3 x 500 kcmil cable 250’ with 4 x 90° bends • 8 x 4/0 AWG cable 300’ with 3 x 90° bends Greenlee UT2 Includes: • 2,000 LB. Cable Puller Unit Greenlee UT2 Features: • With a long history in designing innovative cable pullers for the electrical contractor, Greenlee has done it once again. • T.. Features: For 6800 Series Ultra Tugger 8 Cable Pullers and 6500 Series Ultra Tugger 5 Cable Pullers Floor Mount for 6500, 6800 Cable Pullers ..
Greenlee 00804 Ultra Tugger Slip-in Coupling 2-1/2"
Greenlee 00804 Specifications: Size: 2-1/2" Greenlee 00804 Includes: 2-1/2" Ultra Tugger 5 Slip-in Coupling only Greenlee 00804 Features: Use to attach the Versi-Boom to the conduit. Couplings slip into the conduit and pin to the Versi-Boom. For use with the Versi-Boom system only. ..
Greenlee 00811 Ultra Tugger Slip-in Coupling 3"
Greenlee 00811 Specifications: Size: 3" Greenlee 00811 Includes: 3" Ultra Tugger 5 Slip-in Coupling only Greenlee 00811 Features: Use to attach the Versi-Boom to the conduit. Couplings slip into the conduit and pin to the Versi-Boom. For use with the Versi-Boom system only. ..
Greenlee 00815 Specifications: Size: 3 1/2" Greenlee 00815 Includes: 3 1/2" Ultra Tugger 5 Slip-in Coupling only Greenlee 00815 Features: Use to attach the Versi-Boom to the conduit. Couplings slip into the conduit and pin to the Versi-Boom. For use with the Versi-Boom system only. ..
Greenlee 00820 Specifications: Size: 4" Greenlee 00820 Includes: 4" Ultra Tugger 5 Slip-in Coupling only Greenlee 00820 Features: Use to attach the Versi-Boom to the conduit. Couplings slip into the conduit and pin to the Versi-Boom. For use with the Versi-Boom system only. .. FEATURES: Use to attach the Versi-Boom to the conduit when pulling from overhead. The coupling and adapter threads onto the conduit and pins to the Versi-Boom. 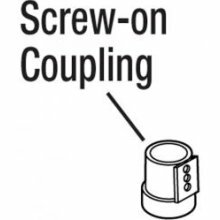 The Screw-on coupling and adapter must be used together. One adapter fits all of the screw-on couplings. 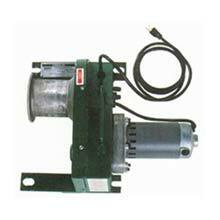 ..
INCLUDES: (1) 3" Bender Saddle Unit FEATURES: For use with 881 or 881CT Benders ..
Greenlee 26594 Specifications: 4" Saddle Unit Greenlee 26594 Features: For use with Greenlee 881 Bender ..
2-1/2" Optional Screw On Coupling Conduit Use to attach the Versi-Boom to the conduit when pulling from overhead. The coupling and adapter threads onto the conduit and pins to the Versi-Boom. The screw-on coupling and adapter must be used together. One adapter fits all of the screw-on couplings. Features: 2-1/2" Long For use with the 8482 Conduit ..
3" Screw On Strong Portable Coupling Conduit Use to attach the Versi-Boom to the conduit when pulling from overhead. The coupling and adapter threads onto the conduit and pins to the Versi-Boom. The screw-on coupling and adapter must be used together. One adapter fits all of the screw-on couplings. Features: 3" Long For use with the 8482 Conduit ..
3-1/2" Screw On Strong Portable Coupling Conduit Use to attach the Versi-Boom to the conduit when pulling from overhead. The coupling and adapter threads onto the conduit and pins to the Versi-Boom. The screw-on coupling and adapter must be used together. One adapter fits all of the screw-on couplings. Features: 3-1/2" Long For use with the 8482 Conduit ..
4" Screw On Strong Portable Coupling Conduit Use to attach the Versi-Boom to the conduit when pulling from overhead. The coupling and adapter threads onto the conduit and pins to the Versi-Boom. The screw-on coupling and adapter must be used together. One adapter fits all of the screw-on couplings. Features: 4" Long For use with the 8482 Conduit ..
Adapter for Screw on Couplings Use to attach the Versi-Boom to the conduit when pulling from overhead. The coupling and adapter threads onto the conduit and pins to the Versi-Boom. The screw-on coupling and adapter must be used together. One adapter fits all of the screw-on couplings. ..